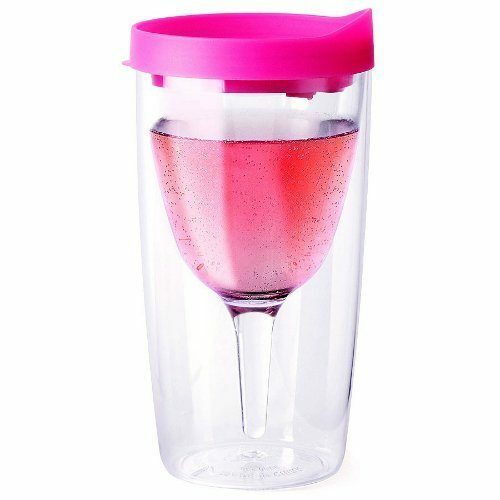 Wine Sippy Cup Only $5.42! You are here: Home / Great Deals / Amazon Deals / Wine Sippy Cup Only $5.42! Drink wine outside this summer without fear of spilling it with one of these adult sippy cups! Right now, you can get a Wine Sippy Cup for $5.42 + FREE shipping with Amazon Prime or Super Saver Shipping! I’ve seen these at other stores, and this is the lowest price I’ve seen. This is definitely a must-have for your summer cookouts and get-togethers!